Synopsis, Our Opinion: Not bad inexpensive Syrah. 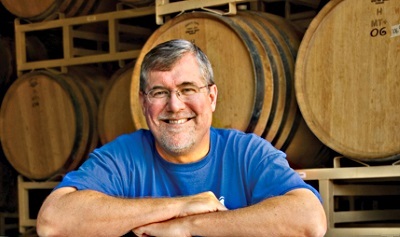 Producer/Winery: Bob Lindquist; Qupé Wine Cellars; Santa Maria, California. 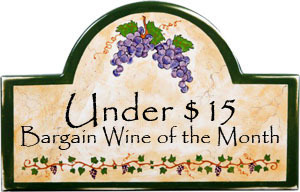 Grape Variety: Syrah blend – 88% Syrah, 7% Tempranillo, 4% Grenache and 1% Mourvedre. Geographic Appellation: Central Coast, California. Paired With: BBQ chicken and coleslaw. Opened and decanted one hour before drinking. Clear, ruby color with the same color rim. Intense cherry and current aromas with a background of pepper and damp earth. Supple entry, dry, medium body (at best), but a raspy 80-grit texture. Overflowing with tart (almost sour) cherry and tar flavors with an underlying spiciness. Bright acidity, SOFT chewy tannins and a flamboyant fruity finish that carries the fruit well into an extended aftertaste. Not bad inexpensive Syrah that paired VERY WELL with the BBQ chicken. 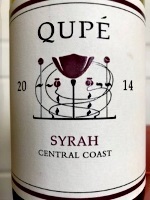 This is the entry level Qupé Syrah and we will probably try their other Syrah’s. 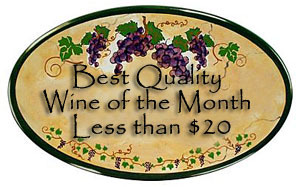 Comments: Learn more about Bob Lindquist and his Qupé wines.